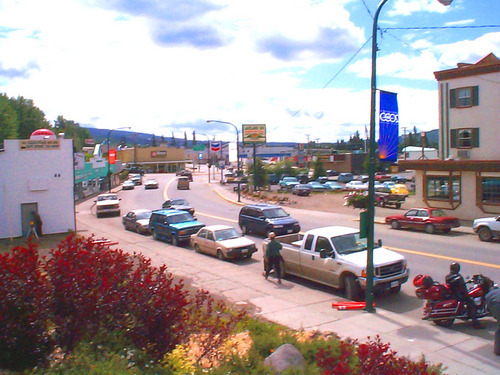 Burns Lake, in the geographic centre of BC, is the "Heart of the Lakes District". Although the villageâ��s population is 2,726, it serves as the supply centre for 8,000 people in neighbouring communities. The body of water from which the community derives its name was officially "discovered" by the Borland Expedition, whose members passed through the area while surveying a route for the Overland Telegraph. Legend has it that shortly before the Borland Expedition arrived, a tremendous forest fire swept through the area, blackening trees and generally turning the countryside into a sooty mess. 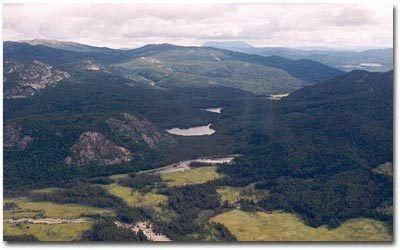 The charred landscape prompted members of the expedition to dub the long, narrow body of water lying at the bottom of this unknown valley as "Burnt Lake" â�� a name that over the years became â��Burns Lakeâ��.